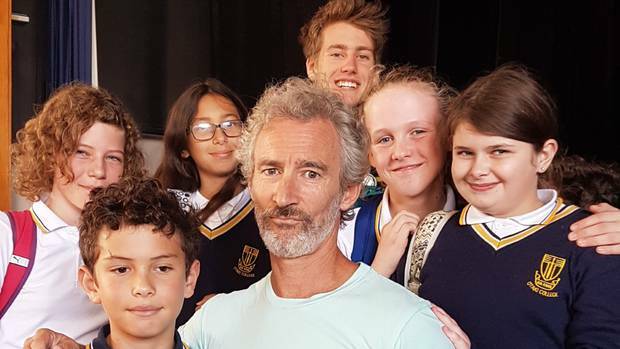 Students at Ōtaki College were left inspired after a visit from Kāpiti-based New Zealand actor Jed Brophy last week. Jed, a Raumati South resident, played Nori in The Hobbit trilogy and has worked on many movies and drama series in New Zealand, including Peter Jackson’s King Kong, Lord of the Rings and Heavenly Creatures. Jed talked about life in the film industry, what it was like to work with Peter Jackson — especially in his early films such as Heavenly Creatures, and taught the students stunt fighting skills. Year 12 student Trent Thompson-Tawhara, who had a chance to get up and try his skills with Jed, gained confidence from the visit and was inspired by the stunt training he did. “I knew who Jed was before he came, and that he was really famous. “It was fun working with him. “He’s a really cool guy with nice vibes and very down to earth. Jed also talked to the students about new technology, motion capture performance and making films on smartphones. Having played many fantasy creature roles Jed’s experience was invaluable to the students as he did physical demonstrations, taught them sword work and stunt choreography. 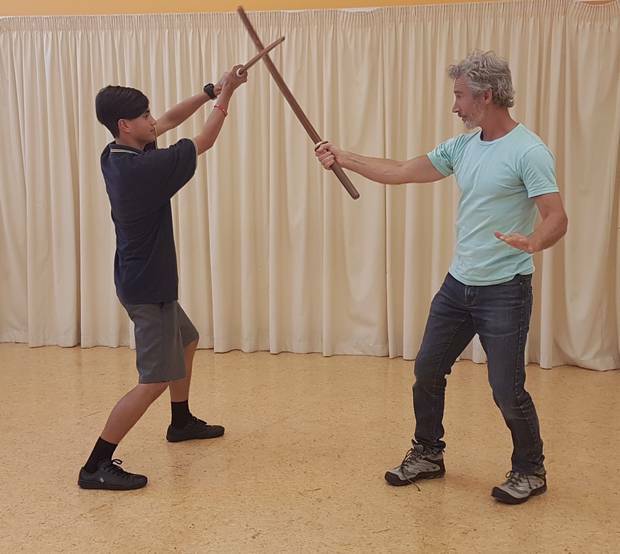 “I enjoyed working with the older students where they had a go at some stunt choreography and basic sword work patterns,” Jed said. No stranger to public speaking, the popularity of Middle Earth films draws a large crowd in the US with Jed being part of a panel at Dragon Con, a convention in Atlanta Georgia speaking to thousands of people and sharing behind the scenes stories with fans. “The panels to do with Middle Earth films are always large overseas. His most recent project is The Luminaries television series for the BBC along with speaking and tour guiding with Weta Digital in Wellington.